Dosa, the Indian pancake, is one of the most common breakfast preparations in South India. 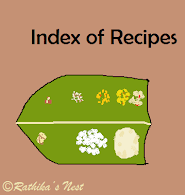 I have already shared 14 different types of dosa recipes on this site. More the merrier! Here’s another type of dosa you can add to your recipe collection. Tomato dosa (தக்காளி தோசை) is slightly spicy and tangy to taste. It goes very well with thick coconut chutney. You can use this as a lunch box recipe for your child. I am sure your kid will just love it! How to prepare the batter: Wash par-boiled rice and urad dhal separately and soak them in sufficient water using separate containers for 4-5 hours. Grind urad dhal using wet grinder very well till it becomes a smooth spongy mass. Transfer the dhal batter into a large container. Now grind soaked rice along with tomatoes and green chillies using the wet grinder into a fine paste. Transfer the rice batter to the container. Add salt, mix dhal and rice batters very well. Allow the batter to stand overnight or at least eight hours. Next morning, mix the batter well. Add water, if required, to make the batter into pouring consistency. You may refrigerate the batter and use it make dosas as needed. How to prepare dosas: Mix the batter well before using. Heat the tava on medium flame. Once ready, spread the batter evenly on the tava. You may make the dosa slightly thick or thin and crisp. Add oil around the dosa and allow it to cook for a minute. You will find bubbles appear on the surface of a thick dosa when cooked. If you are spreading the batter thin, wait for the dosa to become golden brown. Turn the dosa over and cook for short while. Remove from the tava and serve hot with coconut chutney.